After British Prime Minister Theresa May's Brexit deal was defeated in parliament Tuesday, what's next for the troubled process? And what does it all mean for the people living in uncertainty? There are likely "dark times" ahead for Britain in the short term, according to a financier who campaigned in favour of leaving the EU before the 2016 referendum. 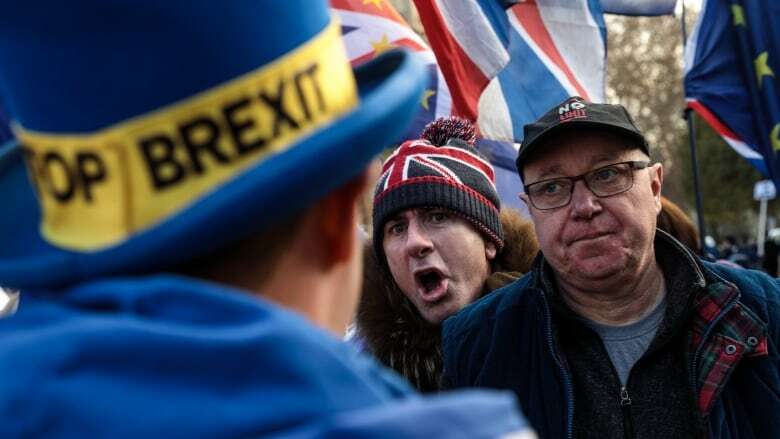 "This whole debate has divided our country in a way we've never seen before," said Luke Morris, head of corporate finance at Scrutton Bland, a U.K. financial services business. "The old red and blue of Labour and Tory, right and left — it looks more like a Rubik's Cube now." However, he told The Current's Anna Maria Tremonti that leaving the EU was in Britain's best interest. "A lot of us really believe this is about a lot more than the economy, and certainty in business," Morris said. "It's about some fundamental principles that we think, in the longer term, will leave our country in a far better shape for future generations." 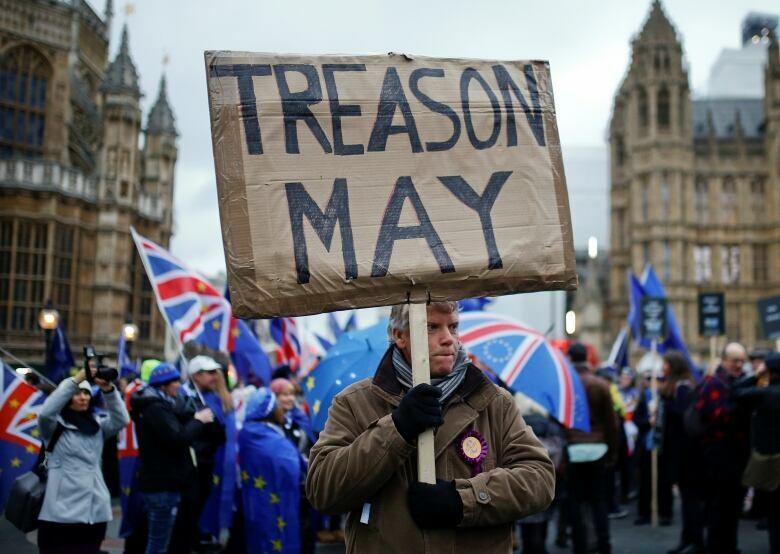 British Prime Minister Theresa May's Brexit deal was defeated in the House of Commons Tuesday, by 432 votes to 202 — the largest margin in the history of British parliaments. She now has 10 weeks to find an alternative, or face leaving the EU without any agreement on trade. That could mean customs checks, import delays and tariffs imposed as early as March 29. But first, May faces a no-confidence motion Wednesday, called by Opposition Labour leader Jeremy Corbyn. Jo Elgarf, who runs a Facebook group called 48% Preppers, which helps people prepare for a no-deal Brexit. Elgarf is concerned that her daughter Nora, who has cerebral palsy, won't be able to access vital medicine after March 29. Verona Murphy, president of the Irish Road Haulage Association, who runs her own trucking company Drumur Transport Ltd. and tranists through Britain to reach the EU. Murphy worries that the reality of how much prices could rise hasn't hit home with the British public. Luke Morris, partner and head of corporate finance at Scrutton Bland, a U.K. financial services business. He campaigned for Brexit in the referendum, but says he and the other guests are united on "a total lack of confidence" in May's government.